I know what you may be thinking. Do you really need a special chair for playing video games? You may not realize it now, but slouching down in an office chair or a couch can certainly cause future injury. In fact, we as humans aren’t meant to sit stationary for such long periods of time. Simply put, it’s really bad for our spines, as well as our cardiovascular systems. But What About Office Workers? You aren’t getting by with your average desk chair for a very important reason – engagement. Desk jockeys who spend all day at the office are likely changing focus every several minutes and make more frequent head movements, since they’re also interacting with colleagues and superiors. On the other hand, gaming requires single-pointed focus – the screen. You sit sedentary for hours at a time, your head in one position, certain muscles tensing as you react to the game. Admit it – the numbness, tingling, and eventual back and neck pain has finally provoked you to state the obvious: you have sustained injuries from video gaming. There’s no shame in making gaming a big part of your lifestyle. But at some point, you have to consider a gamer chair, and here’s why. Your blood is meant to flow, and your heart could really benefit from an increase in activity. The excitement of being lost in a game is not enough to meet these needs. That’s why your legs are often asleep by the time you take that rare break. The seat edges of many gaming chairs are such that they allow for better blood flow to the legs. This means fewer aches, less stiffness, and in the long run, a healthier heart. We all have that friend or family member who is periodically struck down by a “bad back”. There seems to be little relief for the pain, and no warning as to when it’s going to give out. If you’re sitting lazily in whatever chair you have on hand, this could be you in a few short years. Good gaming chairs provide lumbar support. They prevent a chronically slack spine and damaged discs by filling in, or supporting, the natural curve of your lower back. In addition, many also have headrests, so you’re not putting undue strain on your neck. What did you miss while you readjusted your neck or shook off a shooting pain? Comfortable, healthy gamers are better at what they do. Over time, the distractions caused by general discomfort will increase, taking the joy away from something you’re supposed to be doing for fun. If you’re not willing to invest in a gaming chair for your health, you should definitely do so for your performance. You probably want to be able to turn off your game at some point and venture outside. 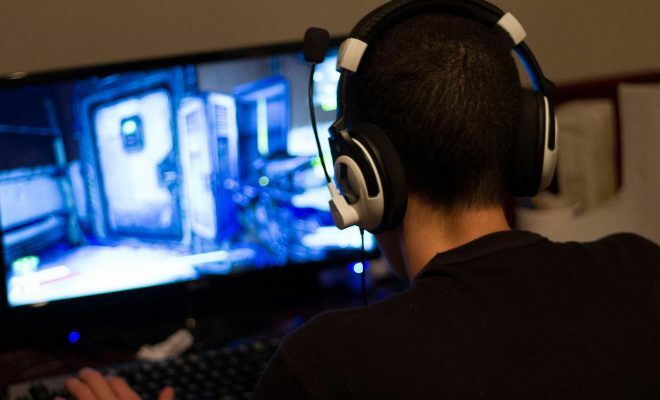 If you’re gaming right, you can do so with better posture and no pain. After all, how you sit now has a big impact on your future mobility. You’re only as young as your spine is healthy, so keep your head in the game with a supportive chair designed to preserve healthy blood flow and bone structure.